It was great to hear from such a diverse group of speakers, and while each individual came from a different background and upbringing, they shared one commonality – a passion for social justice. The emerging themes of the session were the Asian American voice, and how we need to work as a community to have this voice heard. One of the speakers, Tanzila Ahmed, reflected that any one person can be a catalyst for change as “‘social justice values’ are not just limited to social justice careers.” For me, it was really enlightening to see the many different paths one can take to further the ideal of social justice, especially for the Asian Pacific American community. Next, the CAUSE interns had the treat of having an intimate conversation with California Secretary of State Alex Padilla. Secretary Padilla recounted his formative years in his political career as a Los Angeles City Council member and gave the interns some knowledge he gained from being an elected official. 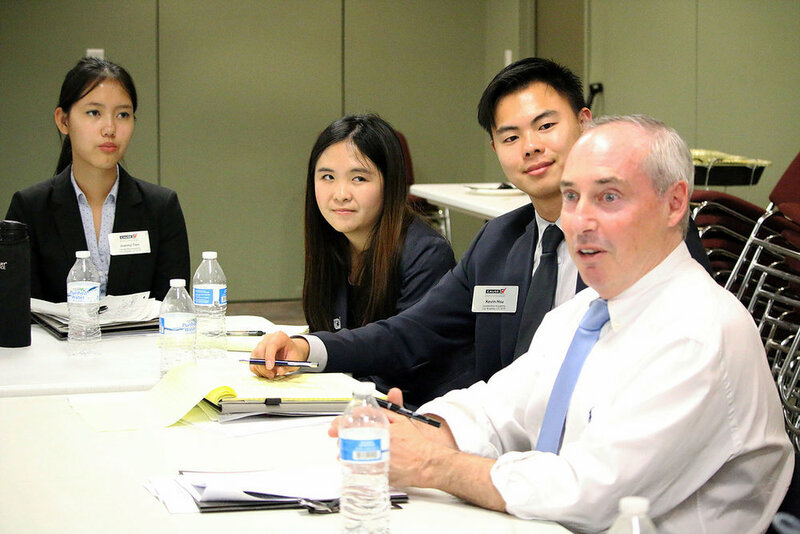 Lastly, the interns heard from Dan Schnur, who spoke on the topic of self-branding and messaging. Dan Schnur, Director of the Jesse M. Unruh Institute of Politics at the University of Southern California, used an interesting analogy to describe constituents as saints, sinners, and salvageables. Saints are individuals who agree with you, sinners are those who will never agree with you, and salvageables are those you are able to change the minds of. Dan Schnur asked us this question over and over again: “How can you reframe this argument?” This gave the interns a chance to reflect on presentation of an argument and how we can, as advocates for different cause, best accomplish this. I think after this Monday session, we all had a better sense on how to mobilize the communities we care about. Whether as a lobbyist or as a campaign strategist, each individual can make a meaningful difference.